Holy Water Font - O.L. 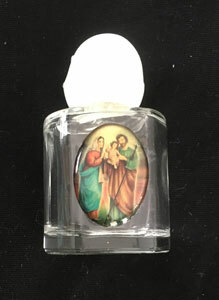 of Grace 5-1/2"
A beautiful holy water font featuring color images of both the Sacred Heart of Jesus and the Immaculate Heart of Mary with a gold Crucifix in the center. A lovely addition to any room. 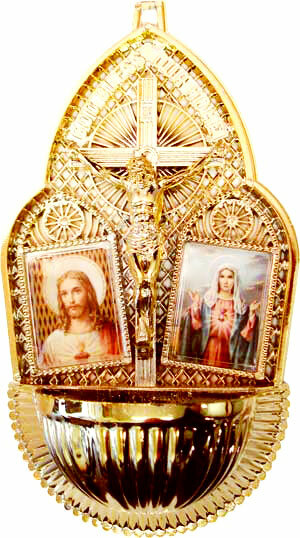 Holy Water Font- Sacred Heart 5-1/2"